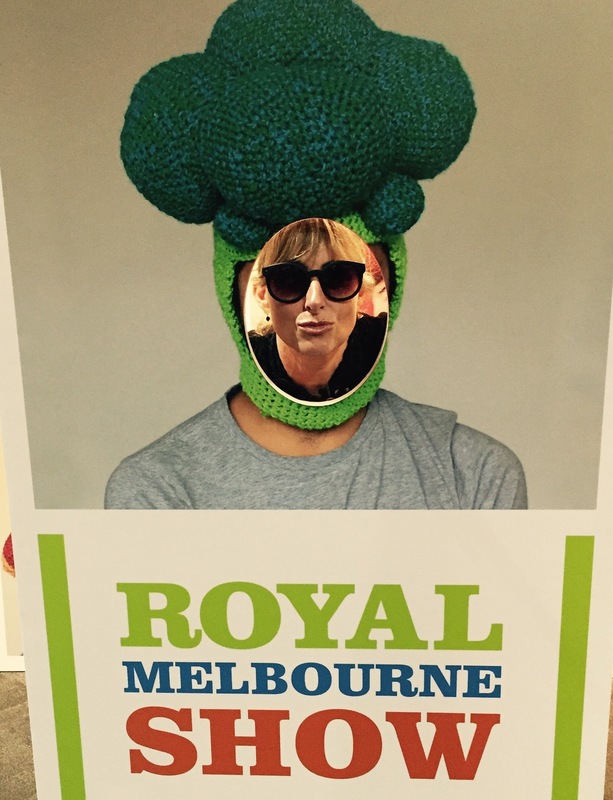 Last week I visited the Royal Melbourne Show with my family and we had a really fabulous day. As there were children in tow we saw baby animals, went on rides and bought the essential Bertie Beetle show bag. However I did spend a lot of time in the Art, Craft & Cookery Pavilion. Such wonderful decorated cakes, sewing, photographs and embroidery all on display. I saw gorgeous hand-knit blankets, jumpers, amazing lacework and fair-isle, tea cosies and beanies. There really are some talented people around. Unfortunately I did not take one photograph of anything knitted. Instead I have photograph after photograph of crochet. Once again I apologize for the lack of knitwear, but these crochet items really are very cool. Crocheted cows, pigs and roosters. Crazy food head wear, expertly crocheted by Phil Ferguson of @chiliphilly. At the request of Kylie Gusset I even searched for Mr Grey in his 50 shades! Quite the attraction apparently. I found some Alpacas and some fleece, but forgot to snap the knitting! Next year, I promise to make sure I capture all the great knitting on display. Who knows maybe I'll even enter something myself.